A little script I made a few years from now to help me with screenshots. A hacky 2-functions script who is helping a lot! 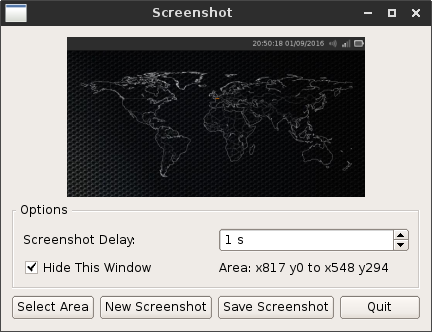 Rigth, this page is dedicated to a little screenshot tool in the form of a single Python script. PyQt4 is used for the GUI and Xlib for the area selection feature. The delay timer is set by default to 1 second but you can increase that value.